The joint peace appeal signed by Muhammad Ali Jinnah in English and by M. Gandhi, April 15, 1947. Eye test report of Mahatma Gandhi, July 9, 1947. Report of Mahatma Gandhi's urine test, 1947. Mahatma Gandhi's signature in various Indian languages, 1947. 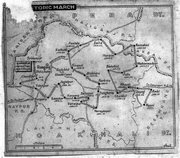 Printed map of Mahatma Gandhi's tour to Noakhali, 1947. 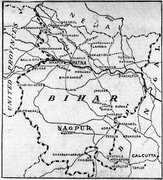 Printed map of Mahatma Gandhi's tour to Bihar, March 1947. 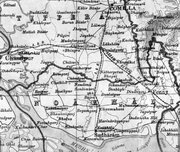 Printed map of the second part of Mahatma Gandhi's tour to Noakhali, 1947. Cheque issued to Kasturba Ashram, signed by then Prime Minister J. Nehru, March 16, 1964.